In an event held in Pan Pacific Sonargaon in Dhaka, Bangladesh, Huawei has unveiled the Huawei Mate 8 and Huawei GR5. Without a doubt, Huawei is slowly climbing the ladder to gain the spotlight. In fact, they have already secured the place in the top three smartphone brands in the world with a global market share of 9.7%. The unveiling of the new products by Huawei is occurring at the same time in other Asian counties as well. However the smartphones were first unveiled in the Consumer Electronics Show 2016 in January. So what’s so awesome in the Mate 8 and the GR5? 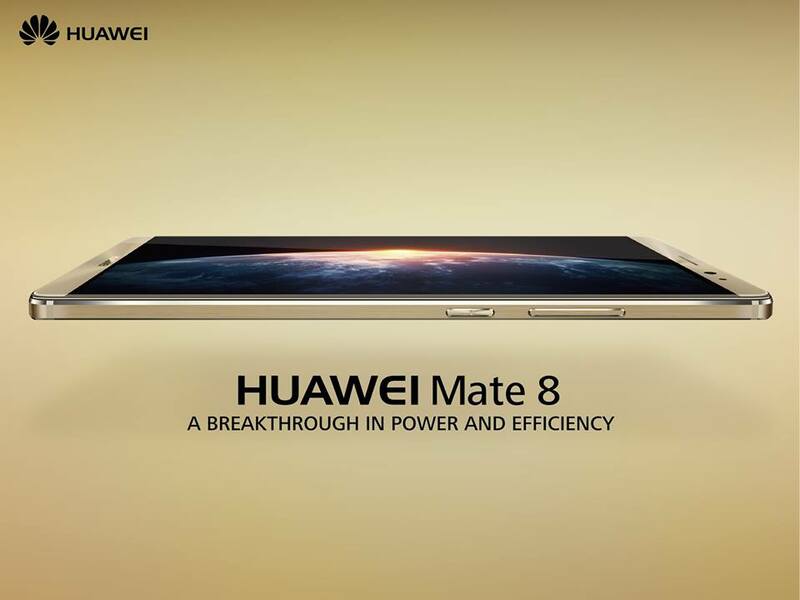 Huawei Mate 8 comes with a smarter fingerprint ID Technology and is claimed to be the most advanced smartphone. With a Huawei’s indigenous Kirin 950 chipset on board, the Mate 8 comes with a 4GB RAM, 64GB memory card and a batter life that lasts long. Huawei Mate 8 also brings in a rapid charging technology which makes it possible to fully charge itself withing 30 minutes! A moderate user can actually go without charging their phone for at least 2.36 days whereas for the heavy users, they can go for 1.65 days. Well, what we know for sure is that the phone will stay alive for 24 hours which is somewhat rare today. If you’re wondering what’s the price of Huawei Mate 8 in Bangladesh, the answer is, emm its quite expensive. The cost of Huawei Mate 8 in Bangladesh is BDT 59,990. Pretty expensive eh? As for the other smartphone, the Huawei GR5 might be a special version for the Asian region only. This is most likely a toned down version of the Mate 8. Though the price is way lesser than the Mate 8, it still has a fingerprint scanner to keep the trend going. From the looks of the ad, the device is a very camera centric phone which also has a fast response on using the fingerprint sensor to tap and capture a shot. The Huawei GR5 carries a price tag of Tk 22,990. All in all, Huawei has started the year in Bangladesh by unveiling the new mighty products. Our take on the Mate 8 is that though it has a lot of power, it would be a hard time to sell the customers here regarding the Kirin processor. Normally, the masse is a well aware of either Mediatek or Snapdragon. Anything beyond these are just a strange option! And of course the heavy price tag the Huawei Mate 8 carries is another thing to ponder about. Let’s see if we can get a hands on the device and provide you guys with an in-depth review! how much time reacquired to full charge gr5?